Mazda CX3 Forum > 2016 Mazda CX-3 Tech Section > Interior > CD Slot Phone Holder? 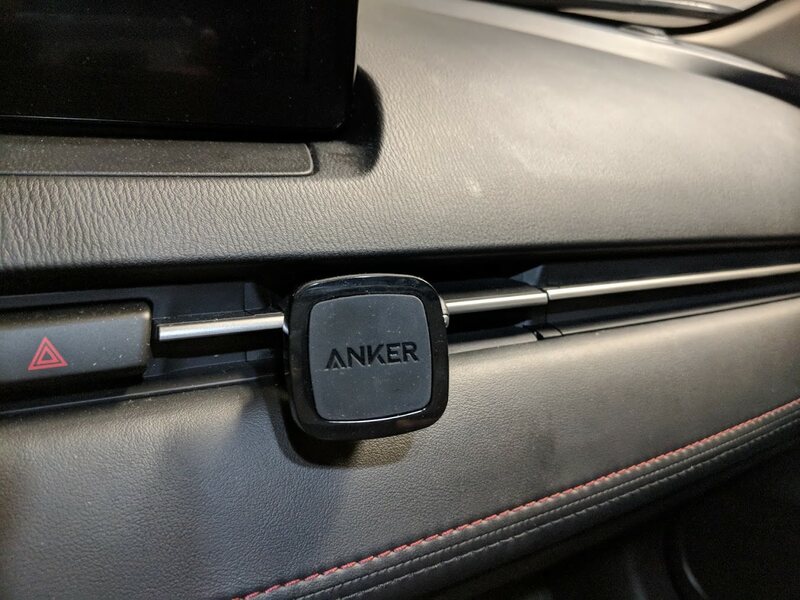 I love my CX3, but it bothers me that there is no good place to charge my phone. 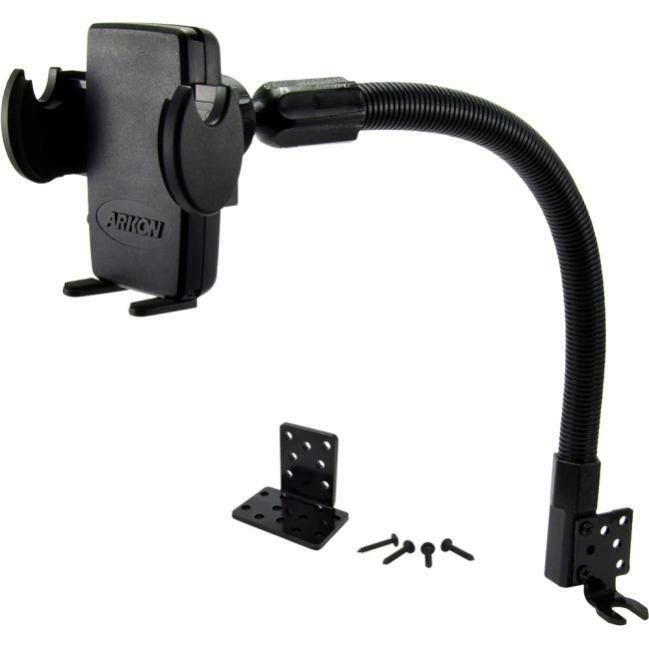 I’ve been thinking about building something in my workshop, but now I’ve seen a phone holder that mounts in the CD slot sold on Amazon. Has anyone tried one of these? TBH even if you mount your phone in the CD slot area, it's probably not going to turn out well since your phone would just be sitting at the bottom near the tray. 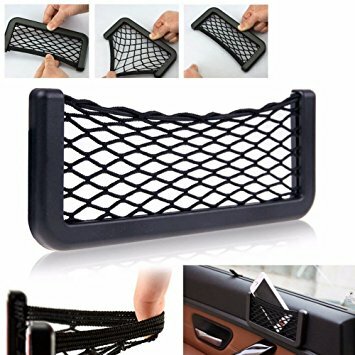 You'll probably save space/keep your area cleaner if you keep your phone either in the armrest or get one of those nets for the side of the seat (I've been thinking of the net myself, since I have 2 phones). 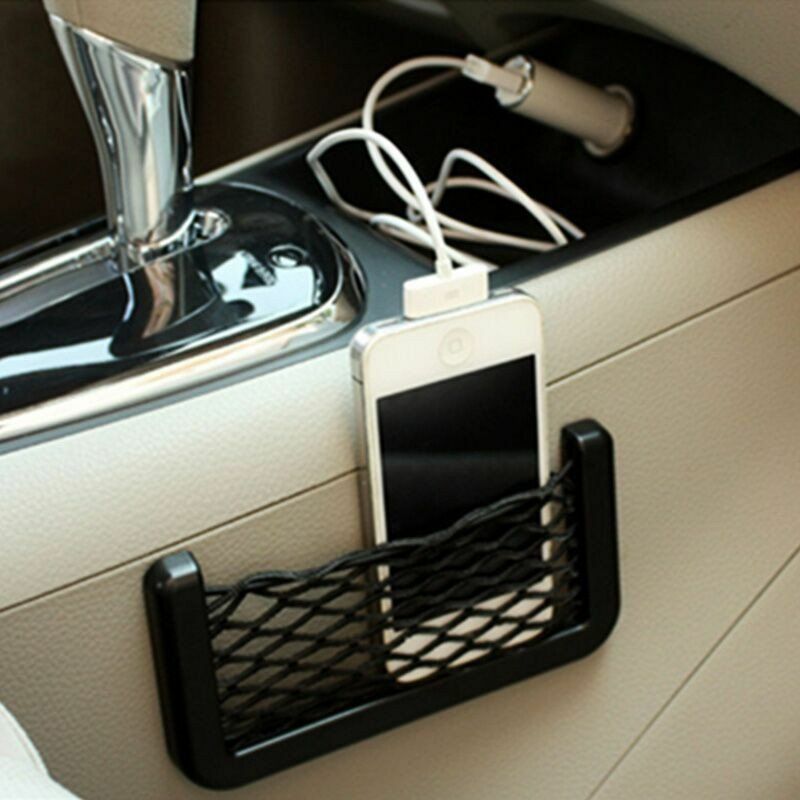 Or, try using a magnetic mount on the side dock if you don't mind your phone being in view? This is just what I did. SlyCoopers and Locolady98 like this. Last edited by PandaG; 05-12-2018 at 07:34 PM. 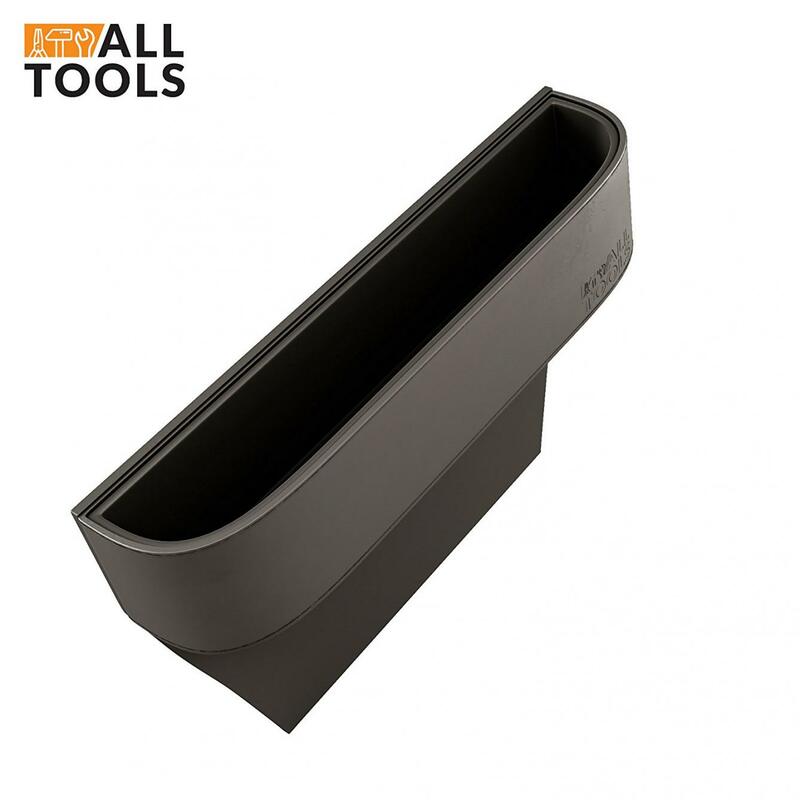 I had something similar to pandaG but it did not have the magnetic attachment which seems to make it fit better. 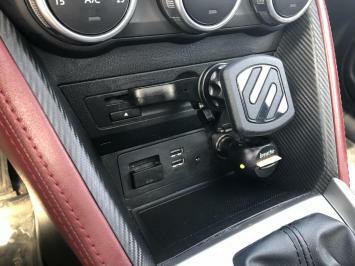 Using a cd phone holder with the side and bottom pads makes it extend even further which makes the space available to grab the shifter in park near impossible without taking the phone out or maneuvering in a certain way. Similar to the sky redline which I initially bought it for, I discovered that both of these cars are not suitable for cd phone mounts or at least the version I had. What I did do in my sky was buy a phone mount which had a long snake like arm you could move around and bolted into the seat rail bolts so that might be an alternative that works for you. @SlyCoopers ...I actually fiddled with it and slid it as far left in the CD slot as it could go, then angled it slightly towards the left towards me (there’s a ball joint that attaches to the magnet). Voila! Pushing the gear to park touches it a bit but I’m not jamming my finger when I do so. The phone attaches and detaches normally. Also, the size of the phone has the bottom rest on the gearbox nicely so, when driving, it doesn’t jiggle hitting bumps. Actually...doesn’t move at all lol. Thank you for your input though, always appreciated! I have another suggestion for you all to consider, as this is something that I have done in my car. Its a simple style holder, not intentionally made for a phone but does work well and is out of site too. It is against the Law over here to use the phone whilst driving, and the way that you can control most of the features with the command system, I think this is a good idea. 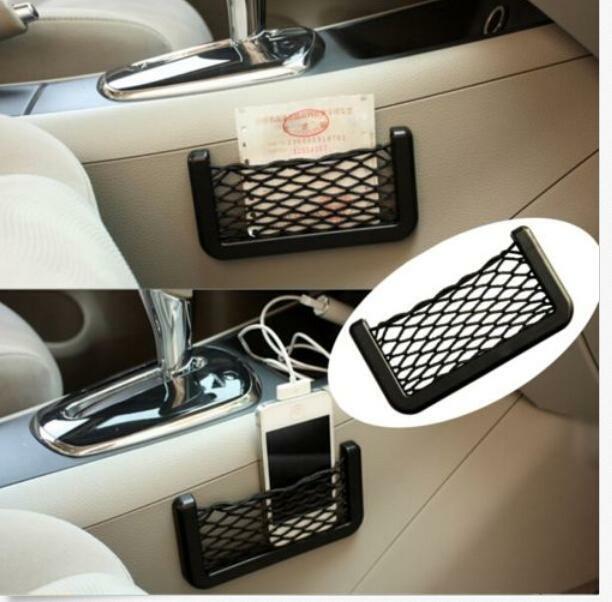 Please see attached Pics, I know its not of my Car, but this is exactly what I bought and attached to the side of the Centre Console, it works a treat, no damage to either phone or car. Thanks for the idea. I really like this as an alternative but am curious as to the holding power of the 3m tape on non flat/smooth surfaces especially in hot summer temperatures. I had something similar a while back but it was a hard plastic sleeve type holder which peeled off the 3m tape in hot temps and could barely hold my waller without coming apart. If you have access to supplies and alot of free time, you could probably replicate something like how proclips is doing. I almost forgot that they made a clip that goes around and behind the center "leather" trim piece under the vent and you could slide it as close and as far as you needed. Thank you, great replies here. 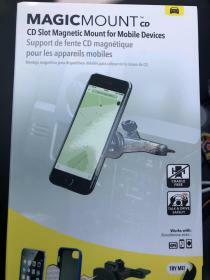 I hadn't considered that the height of the CD slot may interfere with the shift lever. I'm concerned about that. I wouldn't want to bash my phone putting the car into park. I also like the idea of something put on the side of the center piece, rather than up toward the vent. I'm concerned about blocking the vent. I also do enjoy fabricating things, so I still may try to build a small stand that will set in the space in front of the shift lever. In the meantime, I've gotten one of those wedge holders, and that may work. Since I'm by myself in the car 95% of the time, I don't mind a wedge holder impinging a bit on the passenger seat. I'll see if I can attach a pic of the thing I'm trying. I think it may fit the bill nicely. I also think I'll try a vent clip of the sort Panda mentioned. If it doesn't work, or I feel it's blocking the vent too much, I can always return it. I actually would like the phone in view while I'm driving, since I use the maps function on it sometimes. Having it mounted on the vent wouldn't be too bad in terms of glancing over to see where the next turn is. Safer than glancing down at my knee, which is where I would need to have it otherwise.